Available Land: Approx. 3.0 ha. Clay soil sandy gravelly layer. To drain by connecting cesspit after the processing (BOD 8 mg./liter or less) by each company individually. 2 km, 4 minutes by car, from JR Ishibashi station on JR Utsunomiya Line. 4 km, 8 minutes by car, from JR Jichi-idai station on JR Utsunomiya Line. 8 km, 12 minutes, from Mibu interchange on Kitakanto Expressway. 9 km, 14 minutes, from Utsunomiya Kaminokawa interchange on Kitakanto Expressway. 3 km, 5 minutes by car, from Jichi Medical University. 4 km, 8 minutes by car, from Kaminokawa town hall. 4 km, 8 minutes by car, from Greentown Shimotsuke. Newly established factories, etc. in Techno Park Utsunomiya and Inter Park Utsunomiya Minami. To be started its construction within 2 years from the acquisition of the land, and to be expanded within 5 years from the commencement of its operation. 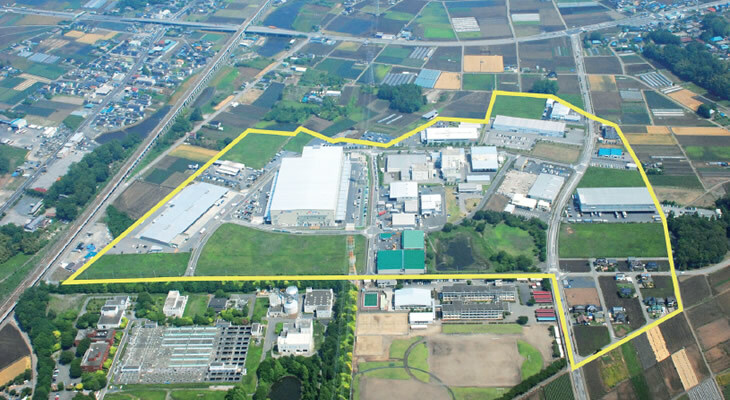 Invested fixed assets of 100 million yen or more for new development, 50 million yen or more for expansion. An equivalent amount of the fixed assets tax and city planning tax.